Russian combat aviation – how to defend ourselves? Sanctions imposed by the European Union and the United States as well as the disadvantageous economic situation have not prevented Russia from implementing priority projects of the State Armaments Program for 2011-2020 (rus. GPW 2020). Despite the technical difficulties related to the development of the T-50 air superiority fighter, Russia is consequently strengthening the combat capabilities of their Air Force by introducing modern Su-35S fighters and Su-34 multirole tactical bombers – these are the main conclusions from the upcoming ‘Pulaski Security Briefings’. The main subject of the debate, moderated by Robert Cheda (expert of the Casimir Pulaski Foundation on the Armed Forces and Intelligence of the Russian Federation), was the modernization of the Russian Air Force and Strategic Missile Forces. The guests of honor of the Foundation were Gen. Marek Dukaczewski (former Head of the Military Information Services) and Andrzej Wilk, expert on international military security in the Center for Eastern Studies (OSW). The State Armaments Program for 2011-2020 assumed that the expenditure on technical modernization of the Russian Armed Forces will exceed USD 600 billion (according to the exchange rate from December 2011). 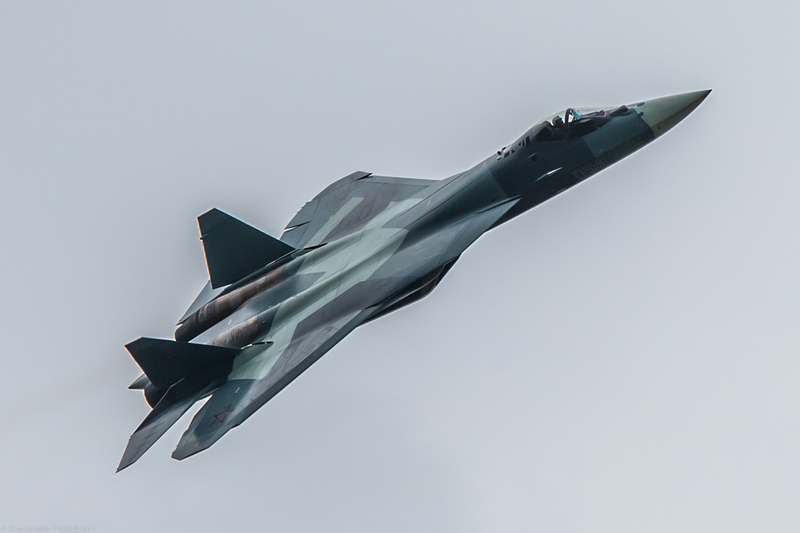 Apart from the projects scrutinized by the media, such as Sukhoi T-50 stealth fighter (PAK FA) as well as the vehicles based on ‘Armata’ Universal Combat Platform, Russians are developing their Air Force capabilities in terms of electronic warfare and air surveillance systems. Furthermore, Russia has returned to the armament systems from the Cold War era e.g. rail-based missile launchers that are able to carry Intercontinental ballistic missiles such as RT-23UTTH Molodets, R-36M2 Voevoda, RS-24 Yars, as well as the ‘Perimeter’ system that enables to launch the ballistic missiles in case of malfunction of the traditional communication system. It should be emphasized that the Air Force of the Russian Federation are a crucial branch of the Russian Armed Forces and therefore it is highly unlikely that the Kremlin will announce funding cuts for technical modernization of the Air Force. What is more, Russia has introduced over 300 (aircraft and helicopters) units more than the target number in the previous State Armaments Program for 2007-2015. Besides, the technical modernization seems to be multilevel due to the introduction of the aircraft of three different generations – the latest 4th generation MiG-29 and Su-27/30 fighters (that are intended to sustain current operational capabilities), modern Su-35S multirole fighters as well as Su-34 tactical multirole bombers (4.5th generation) and T-50 stealth air superiority fighters. The 4.5 generation aircraft that are using the technologies from the PAK FA seems to be especially dangerous. The assessment of the actual Su-35S potential is still under discussion, however French Dassault Rafale seems to be the only potential challenger for Su-35S in Europe. Russians are also systematically developing their fleet of modern attack helicopters – Mi-28N and Mi-35M as well as an innovative construction of Ka-52 type helicopter. Nonetheless, the most challenging issue for security of Poland seems to be working out an appropriate response for the increasing military spending of Moscow. Without regard for Kremlin’s technical modernization plans, Polish policy-makers should focus on elaborating the general defense concept that will take into account training of the military reserve forces and establishment of numerous and well-equipped (anti-tank and anti-aircraft weapon in particular) Territorial Defense Forces. A consistent implementation of the Polish Armed Forces Modernization Plan is insufficient – as an essential problem for the Armed Forces should be perceived the debate concerning military deployment, a further reform of the military command system and the introduction of the air defense system (involving both the Air Force and multilevel anti-aircraft and missile defense).